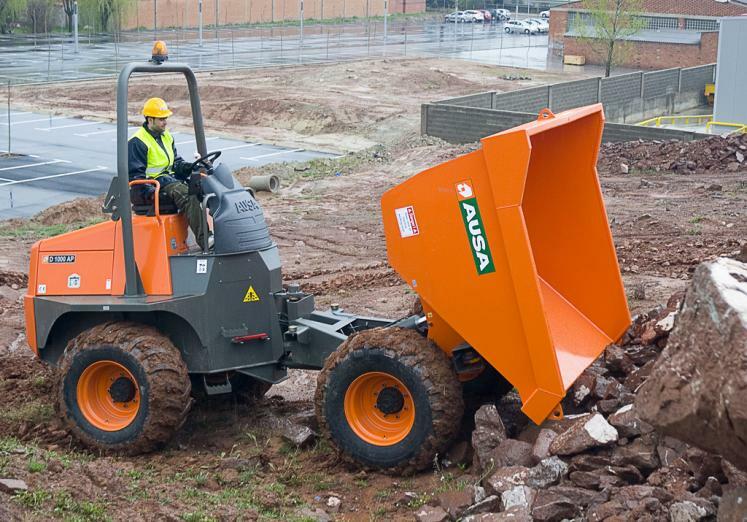 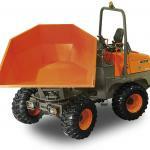 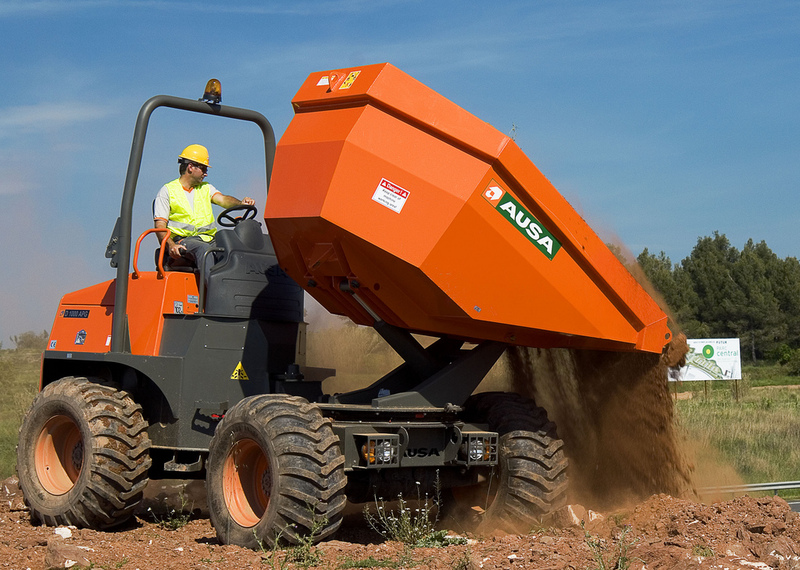 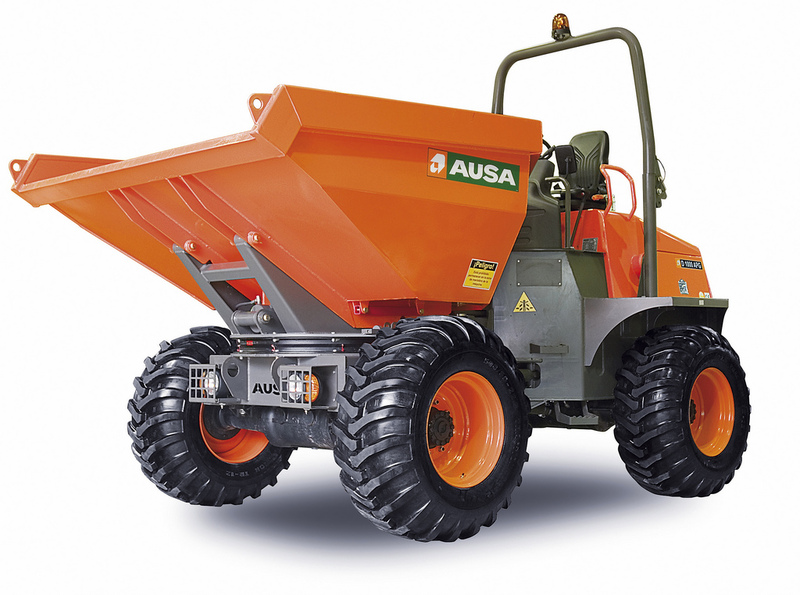 The Ausa D1000 dumper comes with a load capacity of 10,000kg and powered by either a 114hp Kubota V3800 or 74hp Deutz TD3.6 engine. 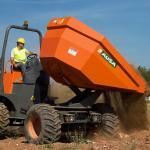 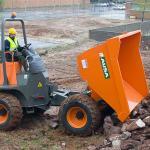 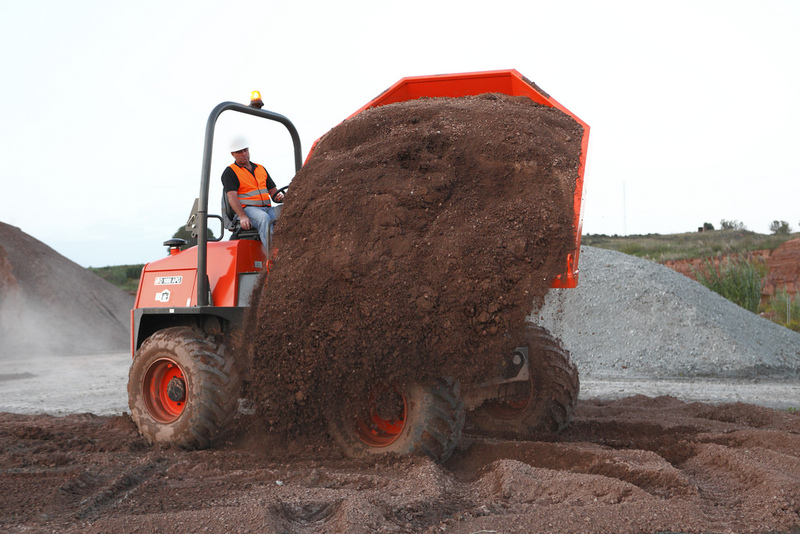 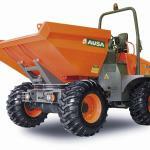 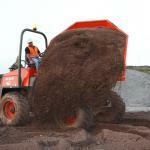 The Ausa D1000 dumper offers the most robust and efficient technology in hydrostatic transmissions by Bosch-Rexroth. 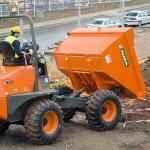 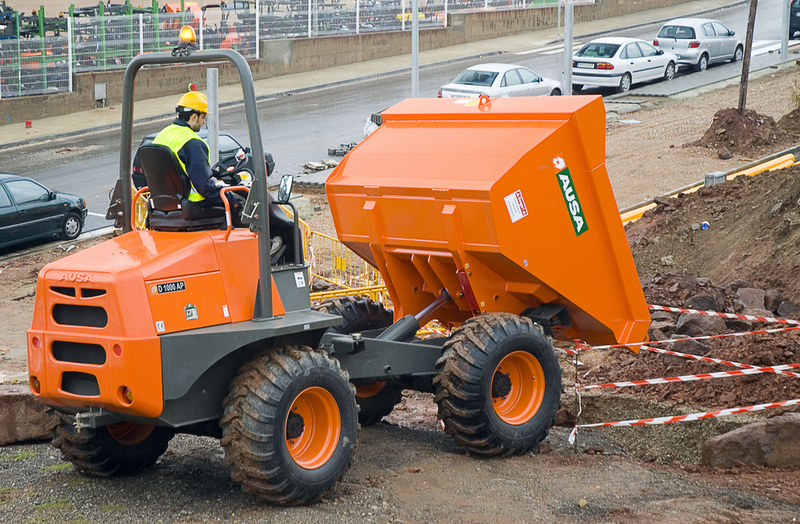 This site dumper benefits from a torque converter with synchronised gear box, 4 forward and 4 backwards gears, electro hydraulically controlled. 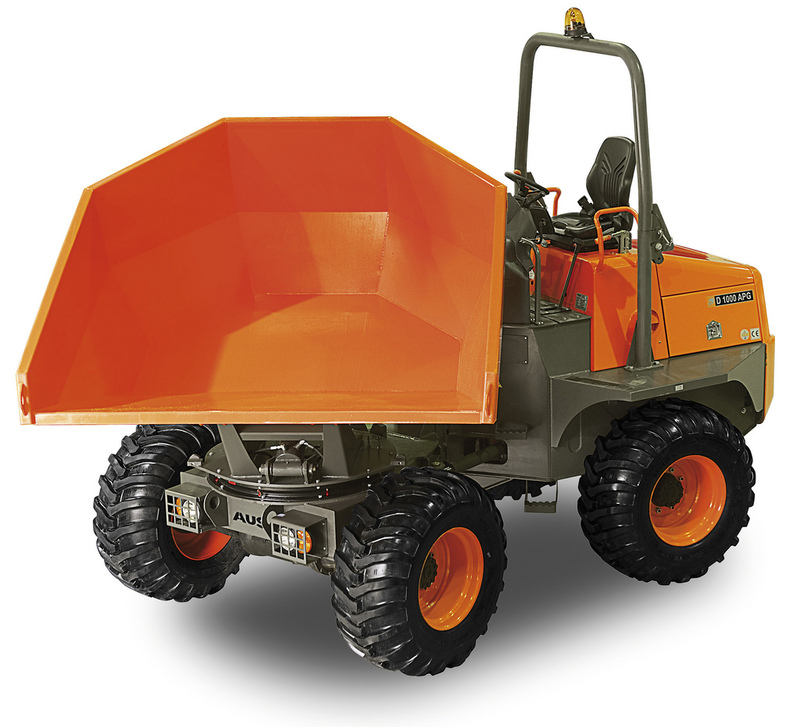 As standard the Ausa site dumper comes with an anti-vandal system, safety belt, single lever joystick, ROPS structure, rotating beacon, rear view mirror and audible reverse alarm.